My Beauty Diary Masks 我的美麗日記面膜 | Memorable Days : Beauty Blog - Korean Beauty, European, American Product Reviews. Remember that my sis brought me some souvenirs from Hong Kong? 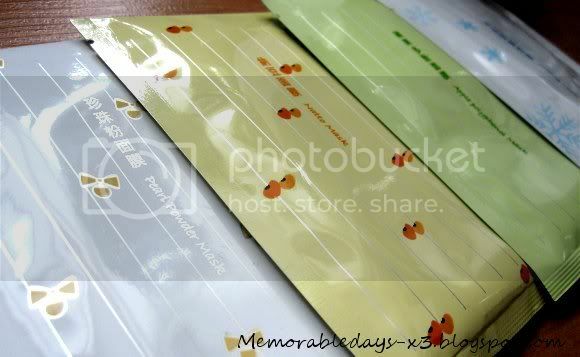 Flashback: http://memorabledays-x3.blogspot.com/2010/10/i-souvenirs.html Well, she bought me a few more My beauty diary masks (我的美麗日記面膜)~ They come in a box with 10 masks and it was around $10 or so at Watsons. I found this list on the internet, its quite handy. With this you know which mask you will need, too bad this isn't the whole collection. 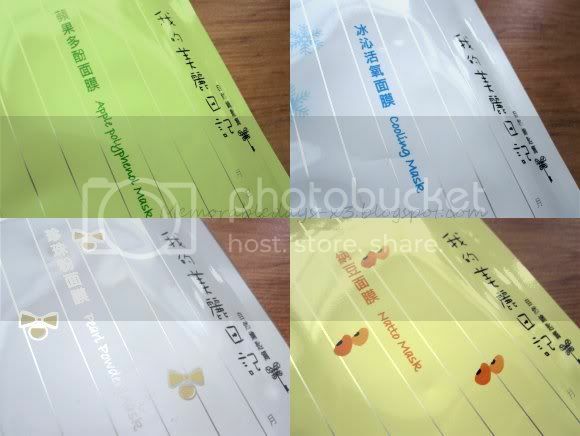 There are 16 different kinds of sheet masks of this brand, go check out there website: http://www.beautydiary.com.tw/en. According to their website, the black pearl mask seems to be the best, followed by the Japanese Cherry Blossom Mask and Pearl Powder mask. *sigh too bad that these masks aren't for sale in Holland, otherwise I would buy a bunch of them and try them all T_T darn. It's a bit more expensive if you buy it on sasa or ebay. I still haven't tried these masks yet, I can't wait to try it!!! The reviews will come later ^_^, since I'm still busy with school it will be next month, so stay tuned~ Click on the picture to enlarge.